While everyone uses their phones differently, there are some Android apps that every user should install Top 10 Android Apps Everyone Should Install First Top 10 Android Apps Everyone Should Install First Got a new Android phone or tablet? Then you absolutely need these apps! Read More . These include slick utilities like AirDroid How Do I Manage My Android From My PC? Meet AirDroid 3 How Do I Manage My Android From My PC? Meet AirDroid 3 For a seamless connection between your Android and your PC or Mac, you've got to try AirDroid 3. You can even mirror your device's screen to your computer! Read More that let you control your phone from a PC, and apps that let you block spam callers How to Block Unwanted Calls and Texts on Android for Free How to Block Unwanted Calls and Texts on Android for Free Sick of spammy calls and texts on Android? Here's how to take control and block them for free and without rooting your device. Read More . Though not nearly as exciting as other apps, there’s another type that’s great to have around: a dictionary. You might think of Dictionary.com as the best dictionary app, but there’s another solution worth looking at, too. 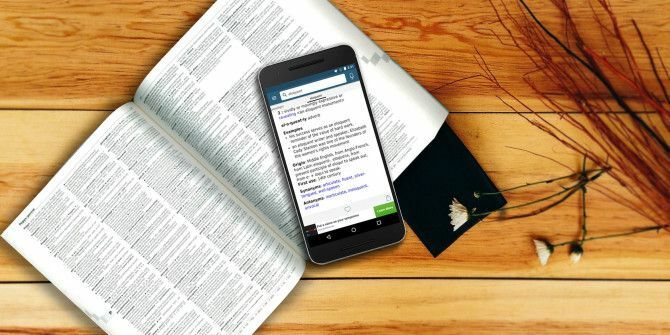 Let’s jump into the latest version of Merriam-Webster’s Dictionary app for Android, which lets you take your words offline. Once you’ve installed Webster’s app, you’ll be greeted with a clean interface. The home page holds the word of the day A Word A Day In 140 Letters Or Less: Follow These Twitter Dictionaries To Be A Logophile A Word A Day In 140 Letters Or Less: Follow These Twitter Dictionaries To Be A Logophile You might think that 140 characters just doesn’t cut it when you have to pick a word apart, and get to its meaning and usage. But let’s leave some room for surprises because Twitter and... Read More , which is a great way to increase your vocabulary bit by bit. Of course, being a dictionary, you’ll probably open the app to look up a specific word. While a paper dictionary helps you find what you’re looking for with header text, the app will match your search query to similar words in the database. Typing “dinosaur,” for instance, also brings up “dinosaurs,” “dinosaurian”, and “duckbill dinosaur.” If you prefer not to type, you can also use the voice option to speak your query — great if you’re unsure of the spelling 7 Apps to Help Anyone Improve Their English Grammar 7 Apps to Help Anyone Improve Their English Grammar You may cringe at the thought of those endless grammar worksheets from elementary school. Luckily, apps are a more fun and modern tool for grammar learning. Read More . The actual pages are full of useful info. For most words, you’ll find quick definitions as well as full definitions. Webster also includes example sentences, origins, etymology, and spoken pronunciations. Tapping any word on a page will bring you to the dictionary entry for that word. Not content to just be a dictionary, you can also switch between a dictionary page and thesaurus page for a word with one tap at the bottom of the screen. Those who often get lost in an endless trail of links Everything You Need To Know About Wikipedia And More Everything You Need To Know About Wikipedia And More Wikipedia is one of the most famous sites on the Internet. It's informative, as well as controversial, and having a page on there is highly sought after. Let's get to know it better. Read More will enjoy the features Webster has in place to help you navigate. Once you’ve landed on a definition, the app keeps it as a sort of tab at the top of the screen. So, if you go to “fish” and then tap on “animal”, you can slide back to “fish” with a simple swipe to the left. Additionally, the left slide-out menu has a Recent tab, where you can quickly jump back to anything you’ve looked at recently. The app also lets you remove items in this menu if you’d like to clean it up. When you find a new word that you love, you can tap the Favorite heart icon to add it to your favorites. In the same slide-out menu, you can access your favorites at any time. This could be useful for learning new words or practicing ones you have trouble with. If you’d like to get social with your dictionary usage, you can use the Share icon present on every word to send it out using any compatible app you have installed. Oddly, Webster’s app uses the iOS-style share icon instead of the Android one. Language fanatics know that there’s no shortage of awesome word games on Android Words Without Friends: 7 Mind-Bending Single-Player Word Games Words Without Friends: 7 Mind-Bending Single-Player Word Games When all you want is a quick test for your vocabulary without relying on someone else, just fire up one of these fantastic single-player word games: Most will work either on iOS or Android. Read More . However, Webster’s dictionary includes three games to help you work on your linguistics in just a minute or two. The first is a vocabulary test, which tasks you with choosing the word closest in meaning to one that you’re presented with. Second is True or False, which asks you random trivia questions. Lastly, you can play Name that Thing, which shows you pictures that you must match with a description. These games won’t win any awards for exciting gameplay 10 Best Free Android Games of the Year 10 Best Free Android Games of the Year Did you miss out on an Android game that you should be playing? Our end-of-year roundup is a handy checklist to know what your thumbs should be tapping on. Read More or unique features, but they’re a valuable way to kill a few minutes while learning some new words. These days, whether from Wi-Fi or mobile data, phones have a network connection most of the time. 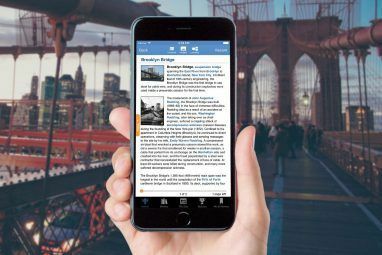 While accessing your dictionary in a dead zone The Best Offline Android Apps for Living Without Data The Best Offline Android Apps for Living Without Data Data plans are expensive, and you don't need them. Here's how you can get by without one and still take full advantage of your Android smartphone. Read More probably won’t be your first priority in an emergency, it’s nice to have access to thousands of words in your pocket anytime. This also prevents you from using too much data How to Prevent Any App From Using Mobile Data on Android How to Prevent Any App From Using Mobile Data on Android If your apps use too much mobile data, try restricting background data on Android. Here's how to turn off data and save money. Read More when you’re out and about. Thankfully, nearly all the app’s features work without a connection. Tested in airplane mode, the only items that didn’t work were voice typing, word pronunciation, and illustrations on word pages. Other than these restrictions, you have full access to the entire dictionary, and the games work offline too. The dictionary app on your phone probably won’t be your most-used app, but it’s still important to keep around. When you think about the amount of information contained in a dictionary, and how large they are physically, it’s pretty incredible that you can fit the entire thing into one app. In our testing, the app took up around 282 MB. This isn’t huge, but it’s another reason why you should avoid buying a tiny 16 GB phone Live Photos & 4K: Why You Shouldn’t Buy a 16GB iPhone 6s Live Photos & 4K: Why You Shouldn’t Buy a 16GB iPhone 6s If you want to take advantage of the new iPhone 6s camera, you'll probably want to avoid picking the 16GB storage option. Read More . Webster’s dictionary does include ads (both on-screen and overlaid), but you can remove them by purchasing the Premium edition for $3. This version also includes some extra content, so it’s a no-brainer for wordsmiths. In case you didn’t know, the dictionary has been updated recently with technology terms. 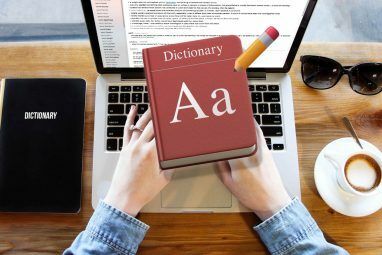 Check out ten tech words to know Tech Jargon: Learn 10 New Words Recently Added To The Dictionary [Weird & Wonderful Web] Tech Jargon: Learn 10 New Words Recently Added To The Dictionary [Weird & Wonderful Web] Technology is the source for many new words. 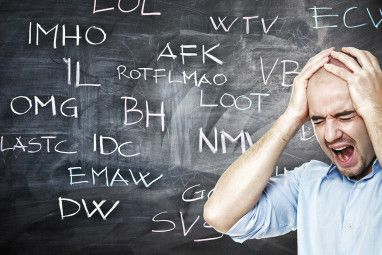 If you are a geek and a word lover, you will love these ten that were added to the online version of the Oxford English Dictionary. Read More in case you spot them in your dictionary travels. Have you tried Webster’s dictionary for Android, or do you prefer a different dictionary app? Talk to us about anything dictionary-related down in the comments! Originally written by Erez Zukerman on August 18th, 2011. Is there an offline MW dictionary program for regular PCs too? I think downloading audio files for the entire dictionary would take up a ton of space, actually. Do you know how much space it took on the N73? Also, what dictionary app was that? ... or 16gb, in my case. ;) That's true. Who knows -- maybe one day they'll enable something like this! 4gb was back on my N73..